Camp Create inspired Linda's swashbuckling look. 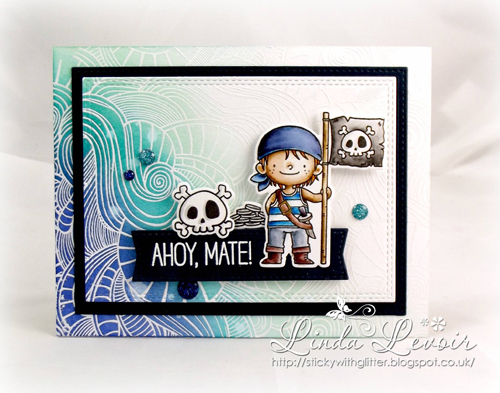 Her coloring of the Party Like a Pirate images is divine but I'm particularly smitten by the watery blend she added to her embossed Wavy Coloring Book Background card base - a perfect example of the technique we featured yesterday! First off, happy Silver Anniversary to Miriam and her husband - what an incredible milestone! Miriam created this card featuring You Float My Boat for her retired Navy Captain husband - how incredibly fortuitous. 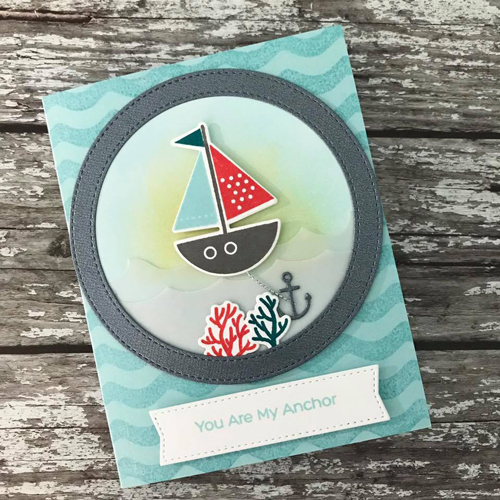 I love her use of vellum to create the waves the way she's added the included anchor die cut to coordinate with her sentiment choice. Everyone loves the endearing ewes included in Birdie Brown's Ewe Are the Best stamp set but in case you hadn't noticed, the supplemental images are just as charming. 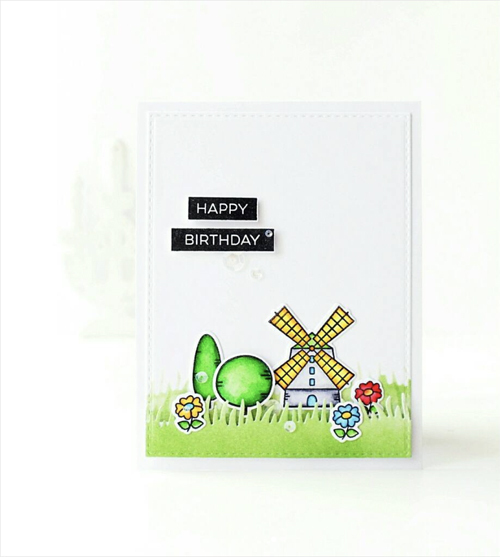 Olga's card showcases them beautifully — her clean & simple design is a showstopper! 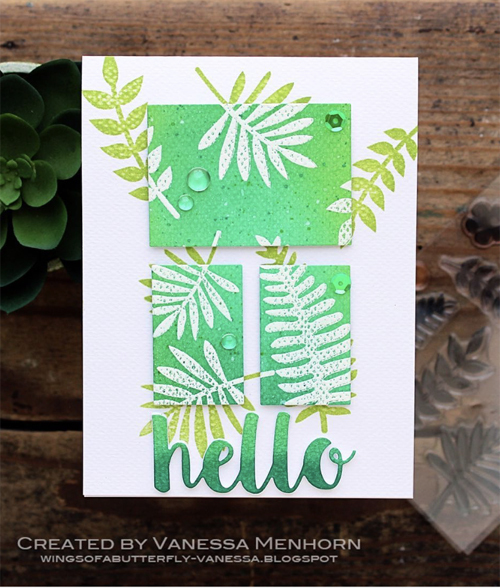 This innovative technique from Vanessa features an unexpected pairing of lush greens and the coolest layering technique. Desert Bouquet greenery and the Hello There Die-namics form the basis of her look - beautiful! 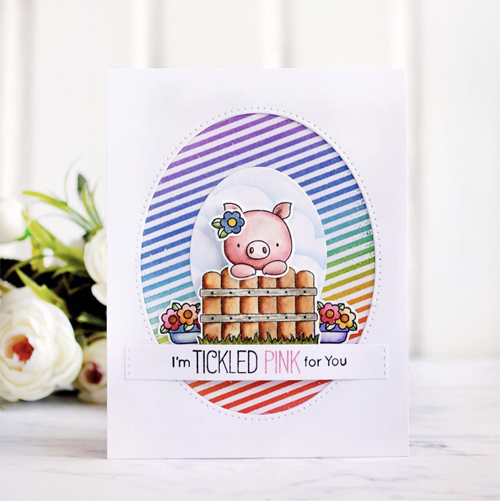 Galina's card tickles us pink with its cheery colors, multi-colored sentiment, and sweet sow. I really love the look of the cloud-covered oval centered within the pierced oval frame and her use of a sentiment from Laina Lamb Design's Tickled Pink stamp set. thank you for sharing my card here!! Thank you very much! Girls` cards are so stunning! Congratulations Ladies!!!! All of your cards are stunning!!! Lots of great techniques you all used!!! Also tons of fabulous inspiration for a fairly new card maker like me!! Thank you all so much!! !